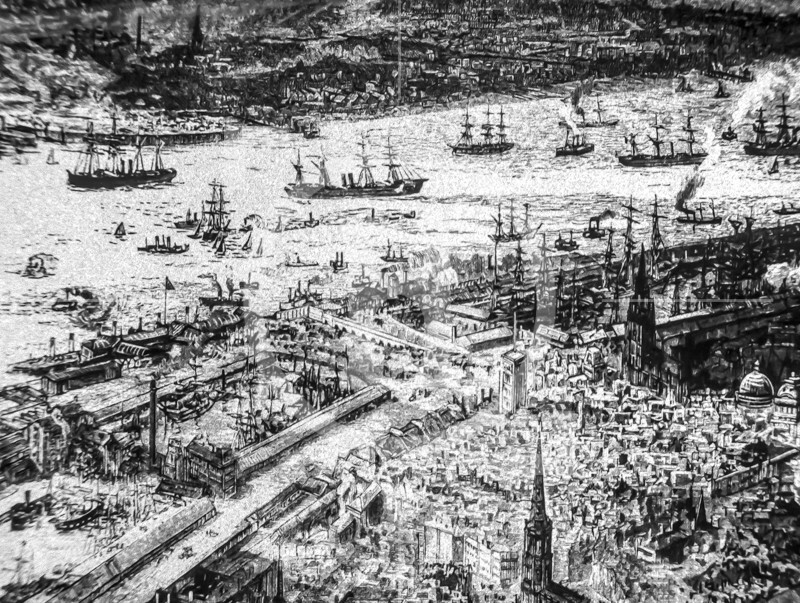 Bird's Eye views of Birkenhead and Liverpool as seen from a balloon, 1885. Birkenhead had become quite industrial by this time. 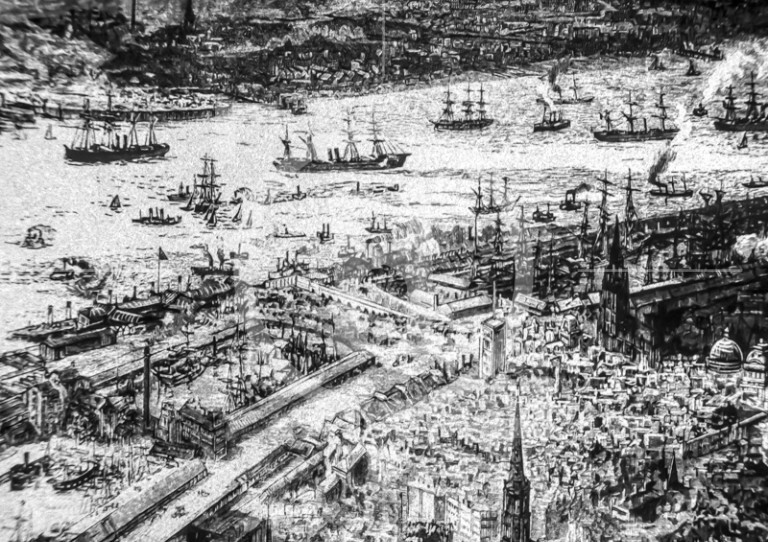 Several of the docks are depicted full of sail ships, while the river Mersey is a hive of activity with a variety of sail and steamships. Image details: W.L. Wyllie & H.W. Brewer.